Vata Dosha: Vata is the energy that controls basic body functions such as breathing, your heartbeats and so on. When the Vatadosha is properly in balance and in control, it promotes creativity and energy in people. When it is out of balance, however, it can cause symptoms like anxiety and fear. A person with a lot of Vataqualities is usually very active, has a fast metabolism, is thin and their skin is usually dry as well. They have the elemental quality of air or vayu. Their sleeping and eating habits are often irregular, and exhibit a lot of modesty, introspection and are often shy. If you identify with this, you probably have a Vata constitution. Try to eat more of warm, heavy and sweet foods as opposed to cold, light and dry foods. Warm herbal teas, fruit and vegetable juices without ice are also good to take. Kapha Dosha: Kapha is associated with the water element. People with Kapha constitution are most likely to be heavy in terms of build, with the propensity to gain weight easily. They tend to have a low appetite and prone to sleep heavily as well. They are also very sentimental in nature and prefer being in a group or community of like-minded people. Some of the dietary guidelines for Kapha include more of dry, light, heating and spicy foods while steering away from heavy, sour or watery foods. Skimmed milk, buttermilk and goat’s milk are great choices when it comes to dairy. Spice teas are also good for the Kapha type. Pitta Dosha: People of the Pitta Dosha type predominantly have the characteristics of the fire element. They are usually of medium build and are passionate in nature. They are assertive, extroverted and decisive. They have great insights and a good sense of distinguishing between things. The ideal diet for a Pitta type consists largely of cool, sweet and juicy foods with a focus on whole grains, all types of dairy such as ghee, milk, buttermilk, and lassi. Cool beverages like milk, water and coconut water are good for this type. Once you are able to tell your dosha type, it is good to devise a health and lifestyle plan for yourself that fits into the advisory tips for your particular type. This is a simple introductory guide towards determining your dosha type and identifying the changes you need to make to your life. 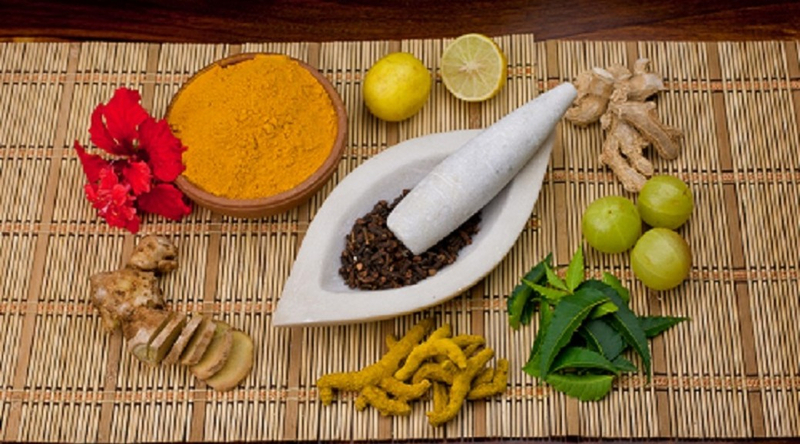 For more specific advice it is better to consult an Ayurvedic specialist, which you can do here.